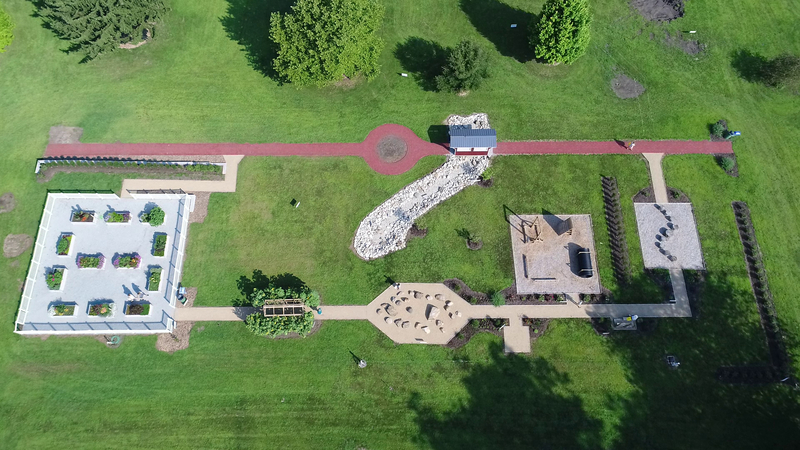 Hollandia Garden Association is dedicated to the establishment and continuance of Snyder Park Gardens and Arboretum as an enhancement of the Springfield/Clark County community and an attraction for residents and visitors. Through this and future projects, HGA promotes engagement with the natural world, continuous education, green space conservation and wellness activities. Join Us! Annual membership is $50. Receive a quarterly newsletter, an exclusive invitation to members only events, free admittance to KiteFest, 25% off plants at any HGA plant sale, invitation to attend once a year meeting with the HGA board. Donate! Be a part of something great! See your donation come to life in current & future projects in our community. Donation checks can be made out to Hollandia Gardens Association or donations can be made online on this website or Facebook. All donations are tax deductible. We appreciate your support. Volunteer! HGA needs your help! No particular skills needed as we have a variety of tasks in our service to the community, such as garden maintenance, leadership, fundraising events & more. Need community service requirements for school or employer? Contact us, we need you! Email us at HollandiaGardensAssociation@gmail.com. Please use this form to donate to Hollandia online. Payments are accepted through PayPal, but you do not need an account (or need to sign up for one) to use this form. You can also write a check to 'Hollandia Gardens Association' and send it to PO Box 235, Springfield, OH 45501.